Today, global marketing in different industries, especially in media, sports is increasingly critical for success! The stakes are high and marketing executives are involved in complex decision-making as they become responsible for return on their marketing investments. This three-day program focuses on the unique challenges of marketing a successful brand in media, sports, and entertainment. Marketing topics including marketing principles and practices, marketing strategies, brand management, branded story-telling, the power of digital, social, and trans-media, fan experience, sports sponsorships and technologies, and technology advancements will be covered. Using case study examples from sports marketing marketing, students will learn the business of marketing, how to position sports property as a brand in popular culture, about target markets and how to reach them, The operation of sports complex and arenas, basic development of college sports leagues, and the leveraging of international strategies to create valuable partnerships and revenue streams. Students are expected to develop a comprehensive understanding of global sports marketing and how strong global brands affect the company’s performance and future. Students will also gain basic sports management and operations strategies for success! Mark Francis, a native of Fredericton, NB, Canada, holds an MBA and M.A. in sports administration as well as a diploma in university teaching from the University of New Brunswick. 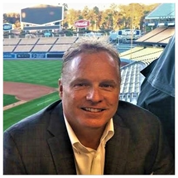 He works as an instructor in sports management at UCLA’s Center for Managing Enterprise in Media, Entertainment & Sports (MEMES); an adjunct instructor in sports technology at Camosun College; and a sports management consultant for BaAM Productions in Los Angeles, overseeing the firm’s interests throughout the professional sports industry. A dedicated supporter of community involvement, Francis also serves as advisory board chair of the African Sports Business Association, and as volunteer head coach of the men’s hockey program at UCLA, where he was selected as one of two finalists for the PAC-8 Coach of the Year Award for 2012. Francis was also selected as head coach of the PAC-8 selects at the ACHA National Championships in Philadelphia in 2011 and 2013. He recently completed a two-year term serving as the executive director of the PAC-8 Men’s Hockey Conference. Mark is also the Founder and CEO of Mark One Sports and Entertainment. April 29th – Third day of training program: 9:00am – 12:00pm 1st half of day (Session 5): The operation & execution of public sports events (marathon event), family style sports event. 2nd half of day (Session 6): The business development of US college sports league and what is the new trend/fashion in sports. Critical Thinking: There are few ‘right’ answers in marketing. What works for one company may not work for another. It is important to think strategically and demonstrate critical thinking that describes “why” and “how”, not just “what”. Clarity: Clear communications are essential in marketing. Please make sure you are communicating clearly both in class and in assignments. Attendance: You are expected to attend all class sessions – to be on time and to stay until the end. If absence is unavoidable, please contact the instructor beforehand. More than two absences will result in an incomplete. Respect: We will treat you with respect and expect the same. Accord your classmates, guest speakers and instructors with courtesy. Please keep your activities associated with class – do not check email, play games, or type anything but lecture notes. All cell phones MUST be turned OFF. Snacks are welcome, but please do not eat while guest speakers are present. Professionalism: Professionalism for this class means giving every project and assignment your best possible effort; it means being on time and meeting deadlines; and it means conducting yourself in a manner that is appropriate to the policies and culture of a particular environment. Tour of popular sports stadiums, franchises, sports complexes, sports networks, sports organizations, state capitol, dignitary meetings, sports executive meetings. (Los Angeles, Sacramento, Bay Area).